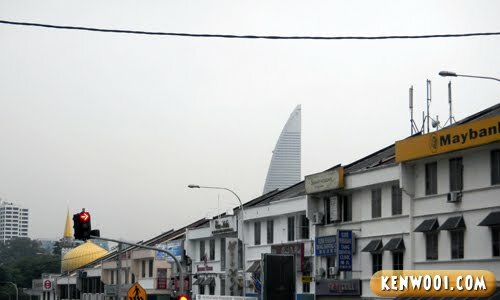 Shark Fin Soup at Menara Telekom? 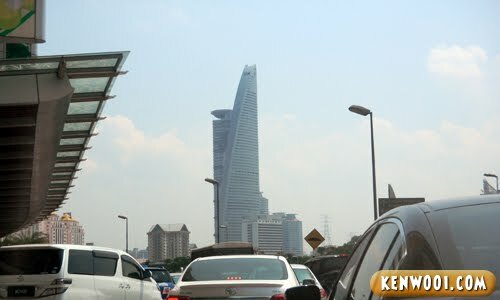 As we Malaysians know, the Menara Telekom (or Menara TM) is the headquarters of Telekom Malaysia. It’s one of the famous telecommunication companies in our country. 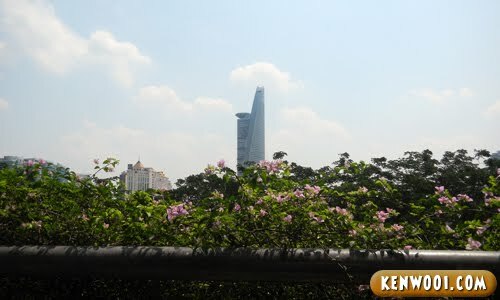 As stated on Wikipedia, the tower is designed to represent a sprouting “bamboo shoot”. I don’t see the similarity though. Is that the place to eat shark fin soup in KL? Uhh… shark fin soup? What the fish?! ini macam pun boleh ah? thought u’re gonna have shark’s fin soup and am gonna scream NOOOOOOOOOOOOO! LOL. LOL, but totally agree wit your last pic! haha, LOL… yea it kind looks like a bamboo shoot. really pointy and curved. Its quite nice to eat too when cooked properly. hahaha..it indeed looks like a shark fin!! Creative you! You said it right with the shark fin. Phewwww!!!! For a while, I thought you had the not-to-be-named soup… Save the sharks!!! Quite interesting. Never look thru from that angle..
Hahaahha :D Indeed like a Shark Fin!! Creative family you have. You guys can think out of the box based on a building.Cool. The shark from ‘Shark Night’ is on the loose searching humans for lunch in KL? ha ha ha ha! Shark’s fin indeed! thumbs up to ur uncle Ken..